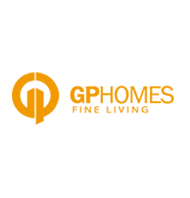 We are GP Homes, a successful company, spearheaded by skilled personnel. We have been building quality homes since 2010. We endeavor to provide quality homes that embodies your dream! Our every project authenticates our attention to detail and consistent quality. We strive for your satisfaction. Our desires churn dreams, to help us visualize and achieve it. Owning a home is an acknowledged aspiration of many. We realize it. We give shape to your aspiration. Our excellence shines through every exceptional edifice we build, entirely to your satisfaction. Clarity is our maxim. Our transparent transactions and clear documentations vouch our credibility. Comfortable homes that spell quality in its every inch gives good value for your money. We thrive on delivering our projects well within the scheduled time and budget that gained us your trust.